Ready for any and every adventure, the Explore 60 redefines the way serious adventure-bound photographers pursue their passion. We wanted the user experience to be simple and intuitive while ensuring its carry performance minimises fatigue and stress. With side and rear access to gear, a height-adjustable shoulder harness and direct access to food, water and mobile devices, the Explore 60 helps keep adventurers moving forward with limited interruptions. 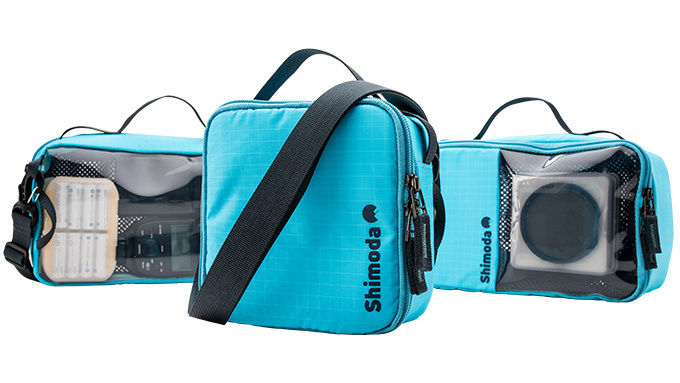 Approximately 15 litres of adjustable volume via a floating lid lets the most demanding photographers take on multiple adventures without needing to compromise their gear carry needs. The floating lid also provides a secure way to quickly fasten jackets, touring skins and other adventure gear. Lightweight, durable and intuitively functional, the Explore 60 is destined to be a new favourite addition to the demanding adventure photographer’s toolkit. We rethought modular camera inserts. Shimoda offers multi-configurable Core Units in Small and Medium sizes. Combined or alone they allow for side, rear and top access configurations. 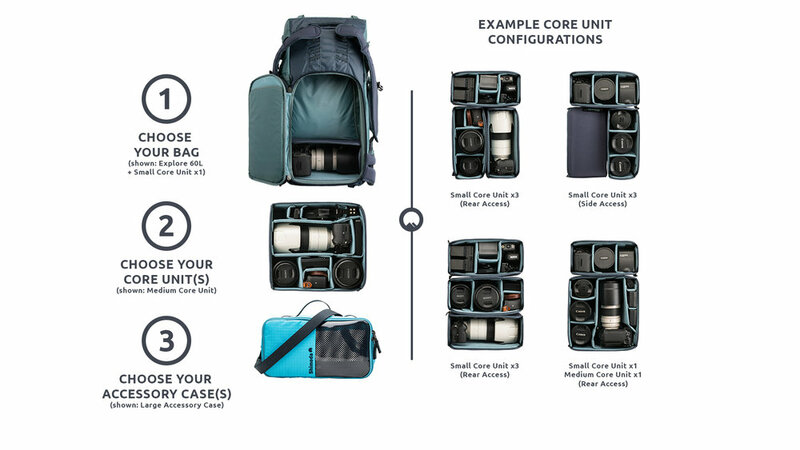 Our 2-size system offers over 10 insert configurations to customise the amount of camera and adventure gear for the day ahead of you.